The National Mall Coalition LLC (“Coalition”, “we” or “us”) recognizes the importance of protecting the information it collects from users in the operation of its Web site, nationalmallcoalition.org (“Coalition’s web site”) as well as other activities. As such, the Coalition takes reasonable steps to maintain the security, integrity and privacy of this information. The information we gather falls into two categories: (1) information voluntarily supplied by visitors to the site when they sign up to receive our email newsletters, post comments in any of the public posting areas on our site, respond to user surveys, participate in interactive activities such as polls, quizzes or view more information about a story, and the like; and (2) anonymous tracking information that is automatically gathered as visitors navigate through our site and review our email newsletters and other email messages. This information may be collected directly by us or it may be collected by third-party partners or service providers on our behalf. Information posted in public posting areas and other interactive areas of our site. You are not required to provide information about yourself to visit our site. However, if you wish to receive any of our newsletters, you will be required to provide us the email address to which you want us to send the newsletters as well as your name. We also may collect and store, and permit our service providers to collect and store, information that does not identify you personally that is generated automatically as you navigate through the site. For example, we and our service providers may collect limited information about the configuration of your computer or other device through which you visit our site, including the type of browser software you use, the operating system you’re running, the resolution of your computer monitor, the Web site that referred you, the type of mobile device you’re using to access our site (for example, iPad, iPhone, BlackBerry, Android device, tablet, etc. ), and your IP address. (Your IP address is a numerical address that is used by computers connected to the Internet to identify your computer so that data – such as the Web pages you want to view – can be transmitted to you. We also use IP address information for systems administration and troubleshooting purposes.) We use this information to make our site as useful as we can for as many users as possible. The help function on most Web browsers contains information on how to set your browser to notify you before accepting a cookie or to disable cookies entirely. However, if you don’t accept cookies, you won’t be able to take advantage of various features on our site that are available to other visitors. We use the information we collect from you while you are using the site in a variety of ways, including, for example, to provide you with services and communications that you have requested, to send you email updates, newsletters, and other communications which you have elected to receive, to deliver our site content to you, to measure site traffic, to measure user interests and traffic patterns, and to improve the site and the services and features offered via the site. 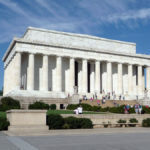 The National Mall Coalition will endeavor to adhere and follows generally accepted industry standards for acceptable content and to protect against unauthorized access to, destruction or disclosure of data. Any data that may be stored on our servers is treated as confidential and is not made available to the public or any third party. While we strive to protect your personal data at all times, we cannot guarantee its absolute security and shall not be liable for any breach of security by an outside party. In addition, we may use your email address to contact you for customer service purposes, to inform you of important changes or additions to our site or the services offered over our site, to send you administrative notices and other information about our site, and to tell you about other products or services offered by the Coalition, or other companies, that we think may be of interest to you. If you subscribe to any of our newsletters, we’ll use your email address to send the newsletters to you. Although we hope you’ll find these communications informative and useful, if you don’t, you can always unsubscribe to either type of message by following the simple instructions included in each email. NOTE: Email addresses will never be sold, bartered, or provided to any third party for any reason. Email newsletters you elect to receive from us are transmitted through Mailchimp from The Rocket Science Group LLC. Mailchimp uses pixel tag technology to determine whether an email has been opened. In addition, when you click on any link in an email newsletter or marketing message you have elected to receive, Mailchimp recognizes that fact. This information is used in the aggregate to measure the rate at which emails are opened and various links are clicked, to measure user interests and traffic patterns, and to improve the content of the email newsletters and the services and features offered through the email newsletter and marketing messages. The General Data Protection Regulation (“GDPR”), which takes effect on May 25, 2018, is a new version of the existing data protection laws defined and enforced by the European Union. The GDPR imposes new rules regarding the processing of personal data of data subjects’ located in the EU. The Coalition is fully committed to comply with GDPR prior to its effective date. Children should always get permission from their parents before sending any information about themselves (such as their names, email addresses, and phone numbers) over the Internet, to us or to anyone else. Our Web site is not directed at children under the age of 13 and we won’t knowingly allow anyone under the age of 13 to provide us any personal information. If you’re under 13, please don’t provide any information about yourself on this Web site.